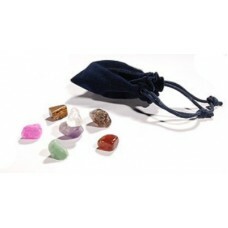 Set of chakra stones for stone therapy UMS-7TC, buy at the price of 21 in Europe. Massage with marble stones is very efficient and pleasant. Buying represented set, you can make high-quality stone therapy courses for required body parts. Your customers will want to take a course of massage once again, because marble stones help to reduce muscle fatigue and tension in the body, stimulate the heart and nervous system. Provide your services only with quality materials and accessories such as, for example, a sophisticated set of chakra stones for massage UMS-7TTS.